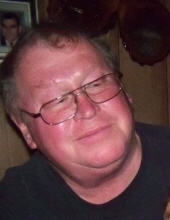 Richard R. Pautsch, age 71 of Henderson, died at his home on Monday, October 29, 2018. Burial will take place at Ft. Snelling National Cemetery, Minneapolis at a later time. There will be a time of gathering and sharing in Henderson at a later time. Richard was born on May 6, 1947 to Ferdinand & Elvera (Hoese) Pautsch. He grew up in Henderson and graduated from Henderson High School. Following high school he served in the United States Army from 1966-1968 serving in Vietnam. After returning home, he began work with Anchor Glass in Shakopee, MN where he worked his entire life retiring about 10 years ago. Richard enjoyed hunting and time with his friends and family. He is survived by his two sisters, Shirley and Delores Pautsch of Henderson; and many nieces and nephews. He is preceded in death by his parents; sisters, Ethelyn Lucht and Linda Pautsch; and brother, Dale Pautsch.